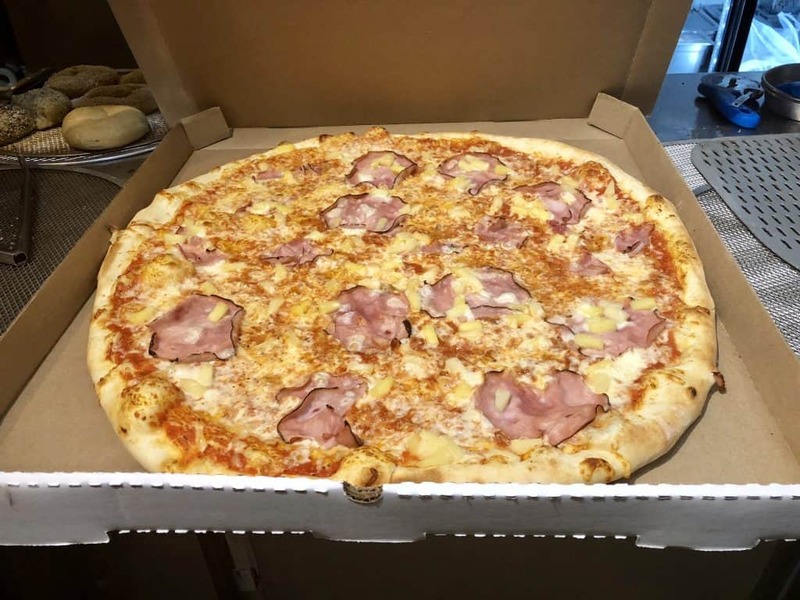 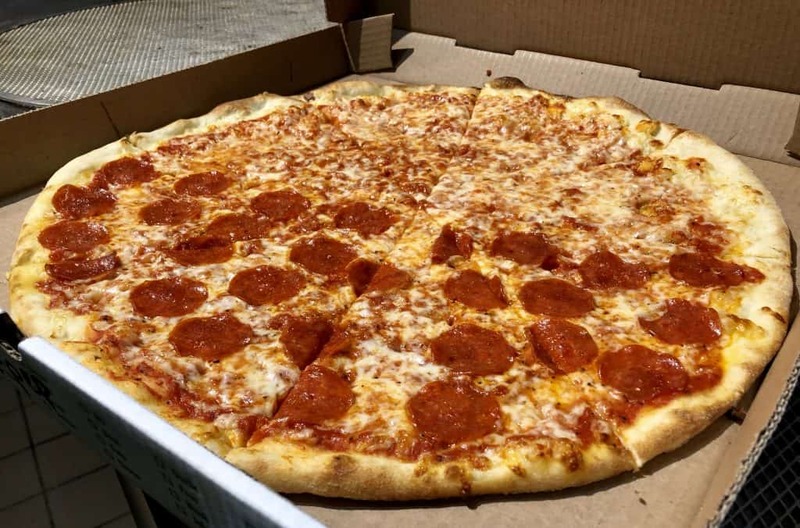 Home › Wood Fired Pizza › The Mega Don! 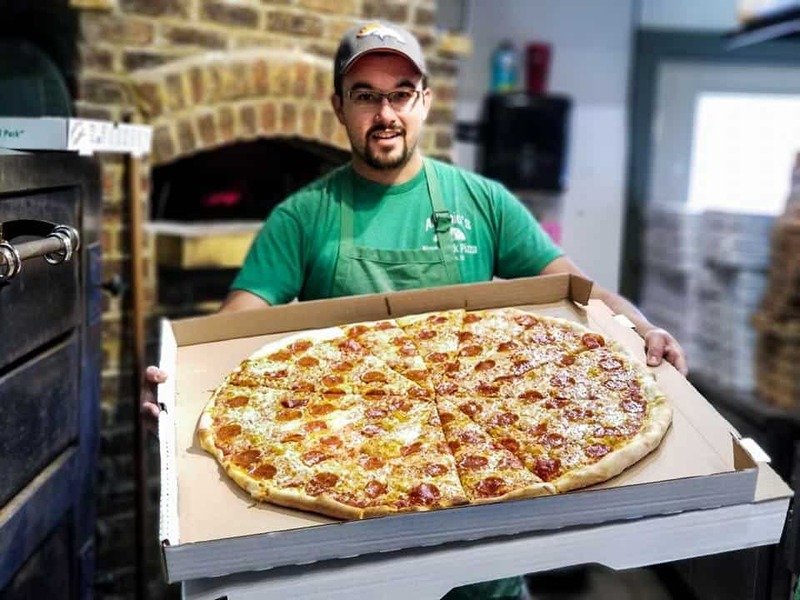 A 26″ pizza that weighs in @ 5-6 lbs! 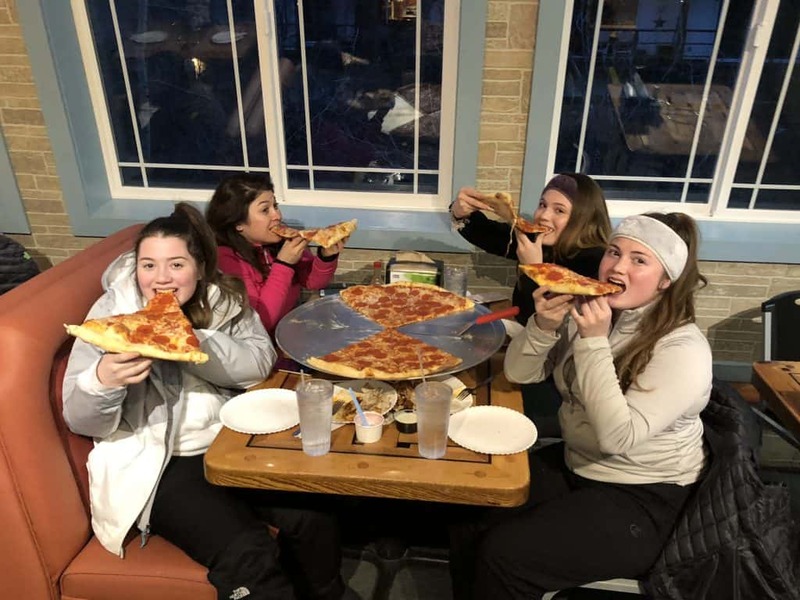 Ladies enjoying the Mega Don pizza! 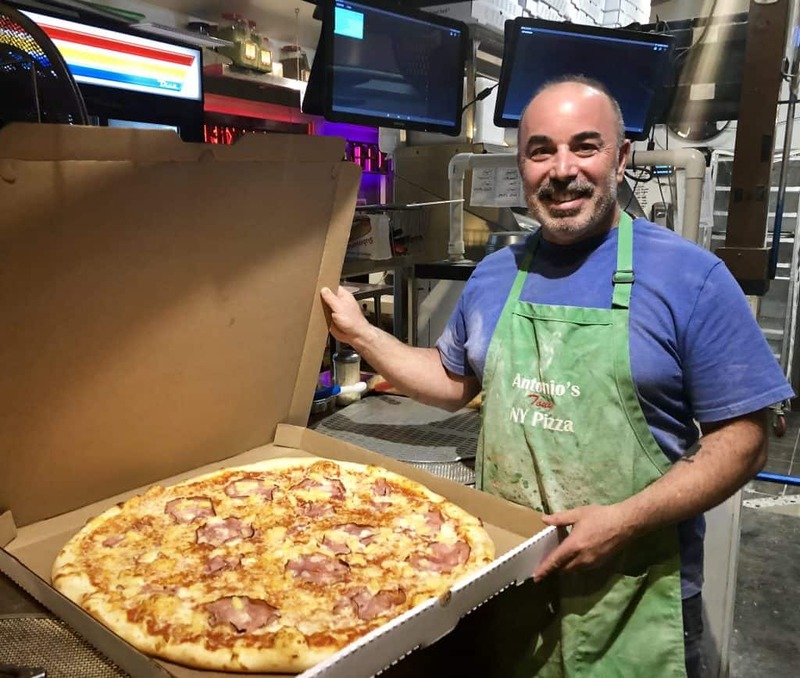 Tony with a Mega Don in a 28″ box..
Antonio smiling at the Mega Don! 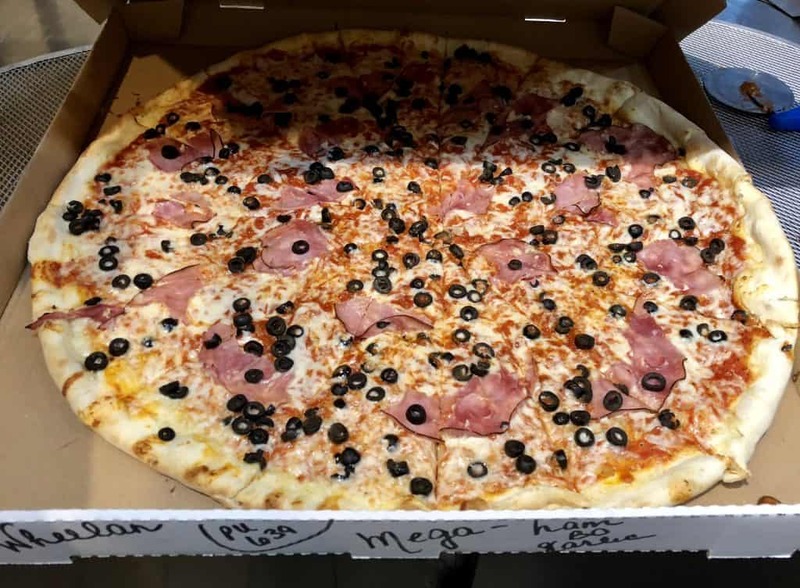 Black Forest Ham, olives and garlic Mega Don!